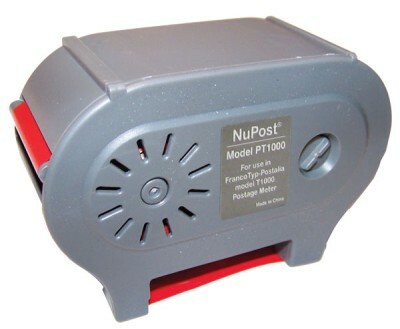 Premium Quality T1000 Red Postage Meter Ribbon (3/Box) compatible with the USPS T1000. The use of compatible supplies does not void your printer warranty. Premium Quality OPTIMAIL Red Printer Ribbon compatible with the Francotyp-Postalia Optimail 30. The use of compatible supplies does not void your printer warranty. Premium Quality MYMAIL Red Inkjet Cartridge compatible with the Francotyp-Postalia Mymail. The use of compatible supplies does not void your printer warranty. Premium Quality ULTIMAIL Red Inkjet Cartridge compatible with the Francotyp-Postalia Utimail. The use of compatible supplies does not void your printer warranty.